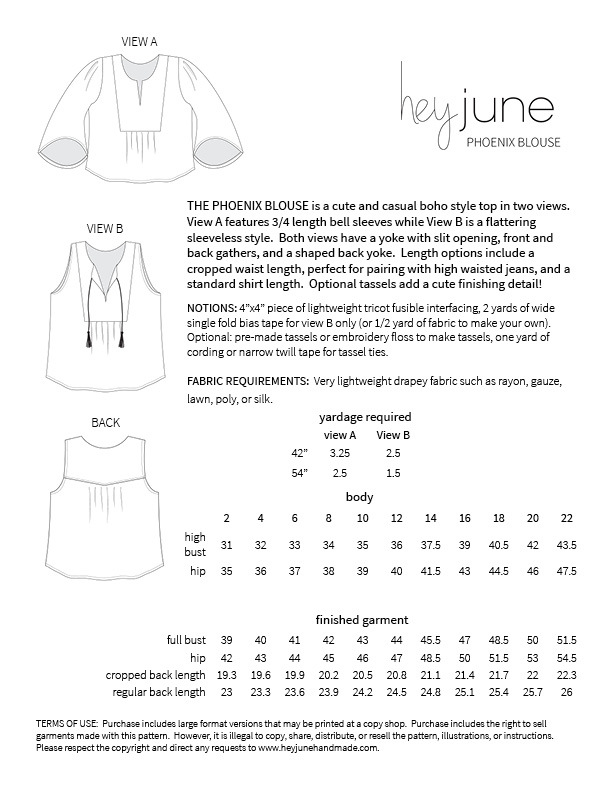 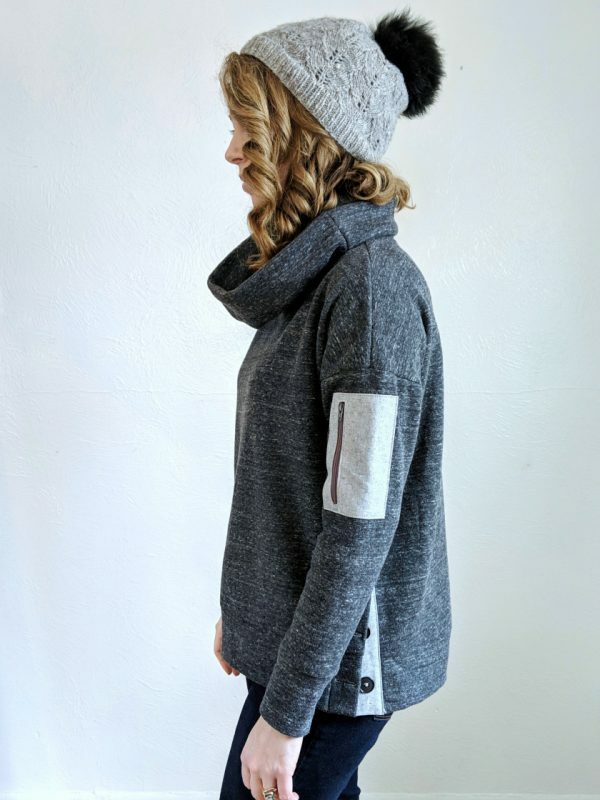 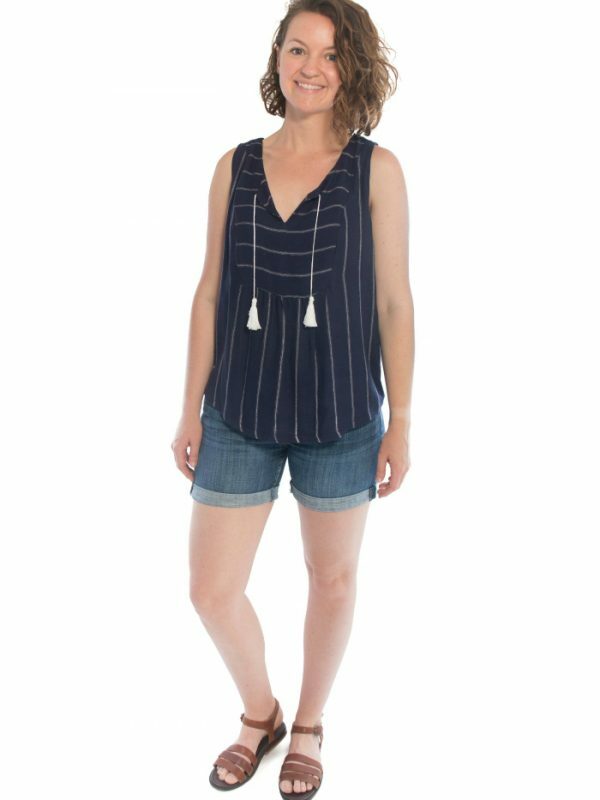 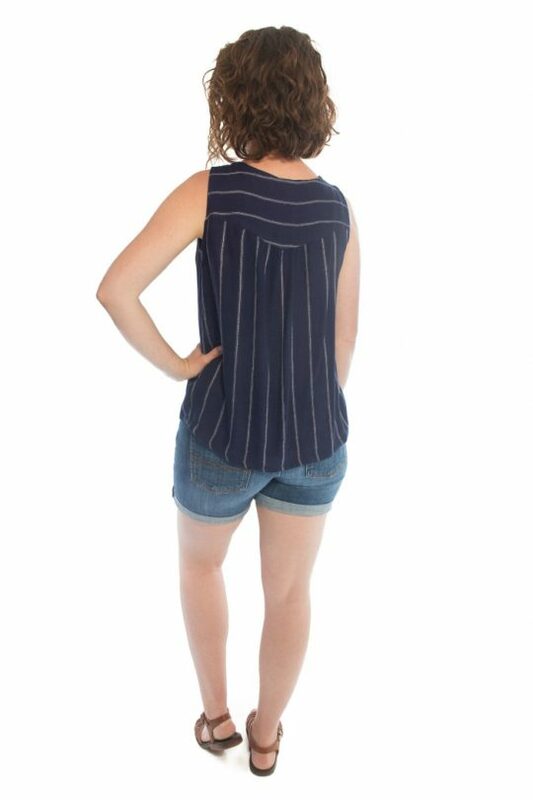 This is a .pdf pattern and will be available immediately in your account so you can download, print, and start sewing right away! 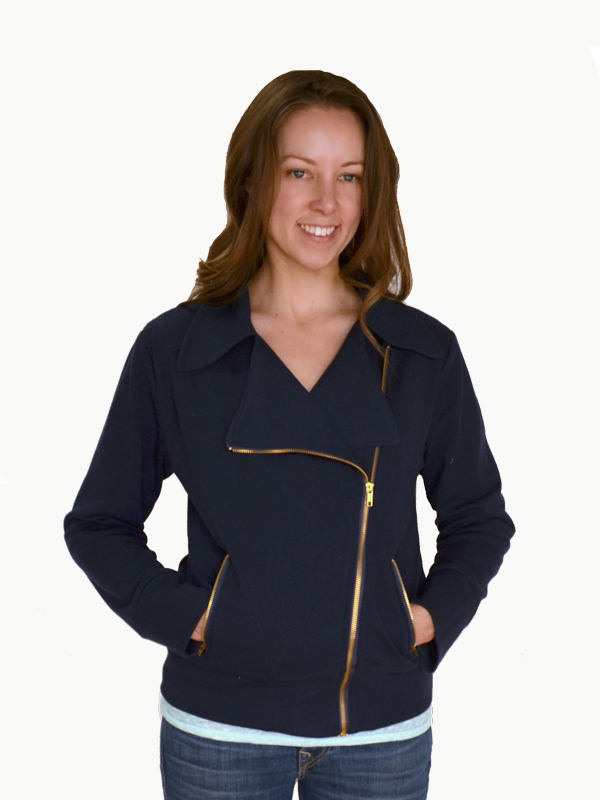 This is NOT a physical product. 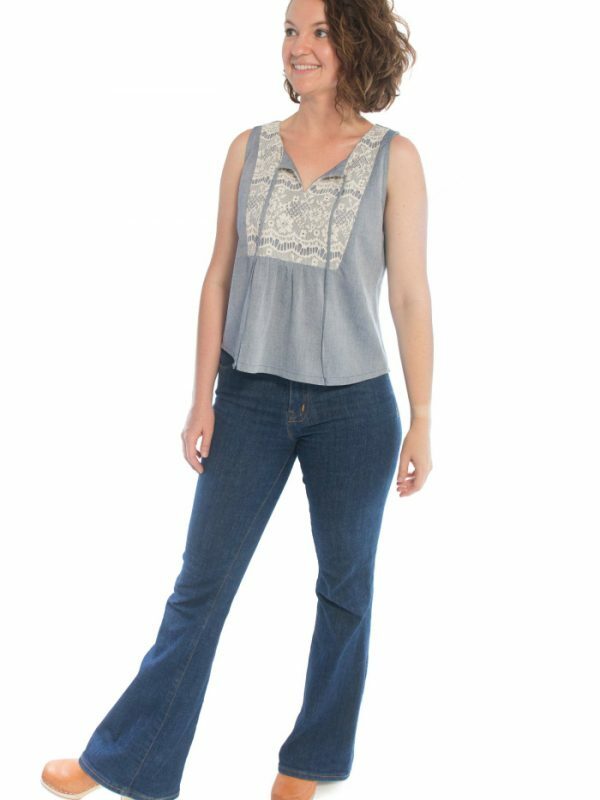 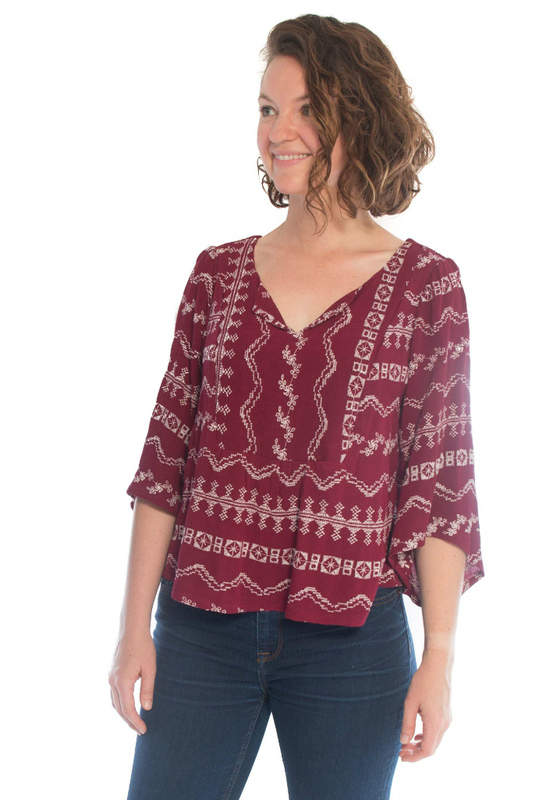 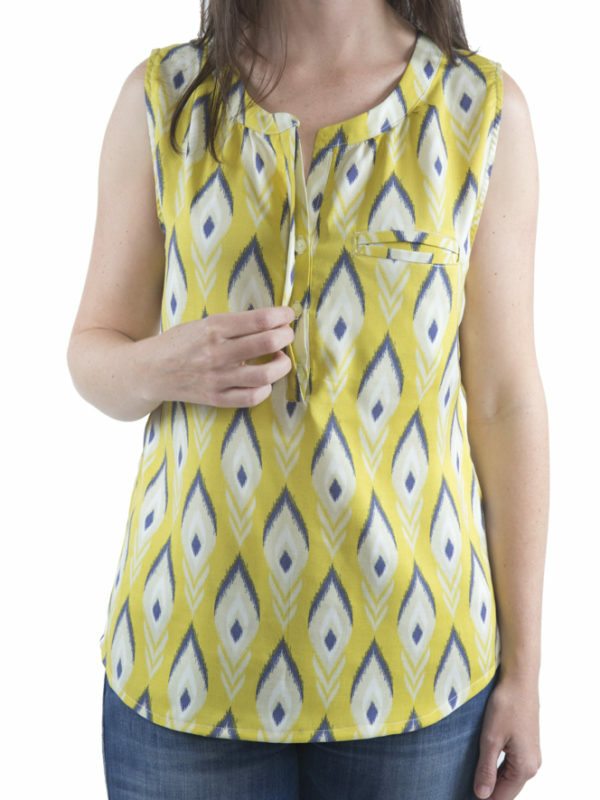 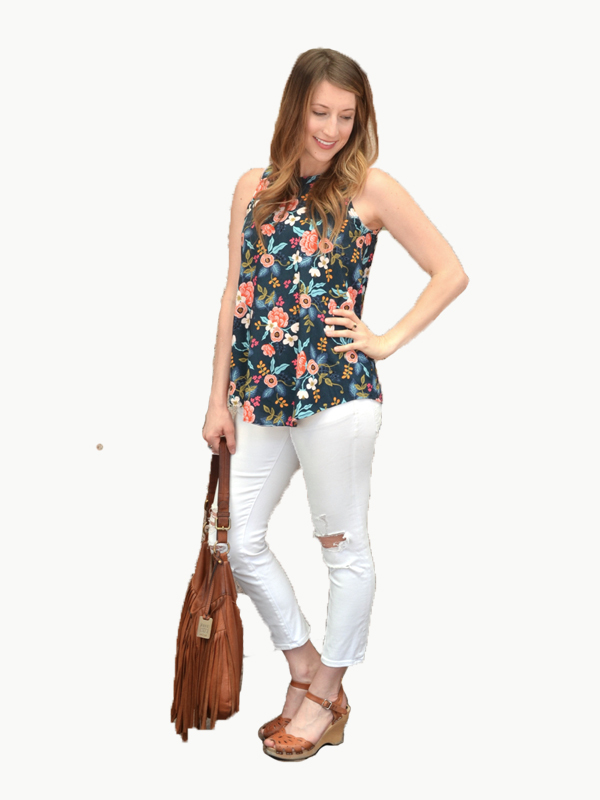 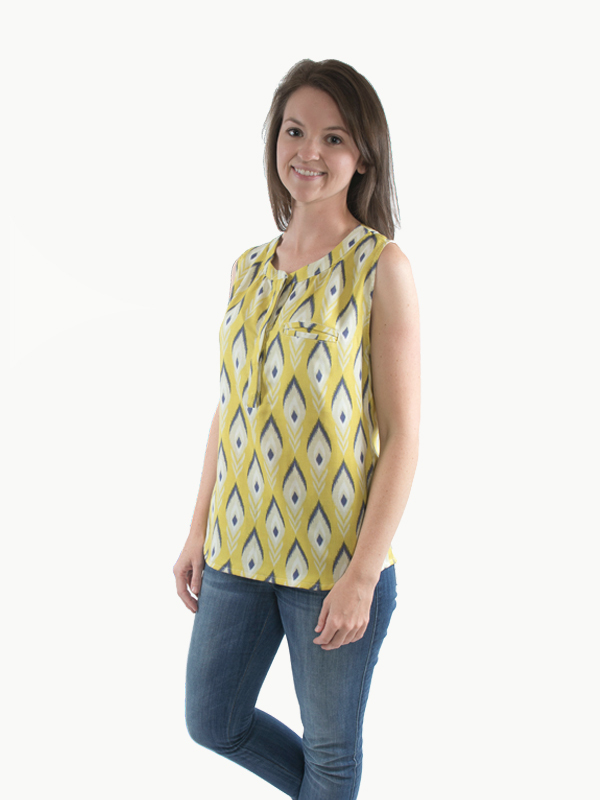 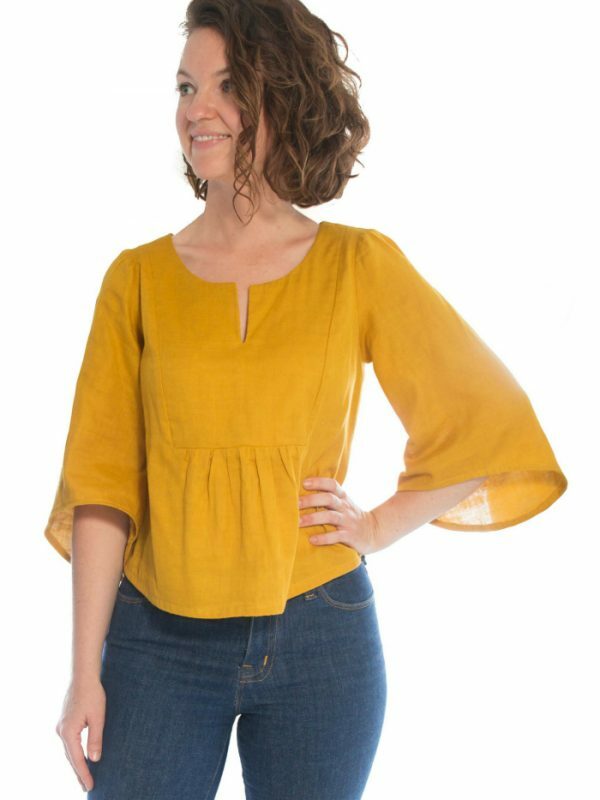 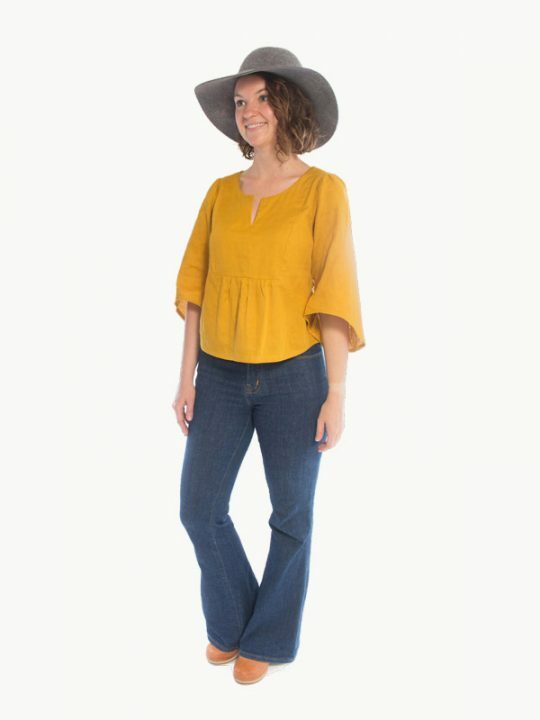 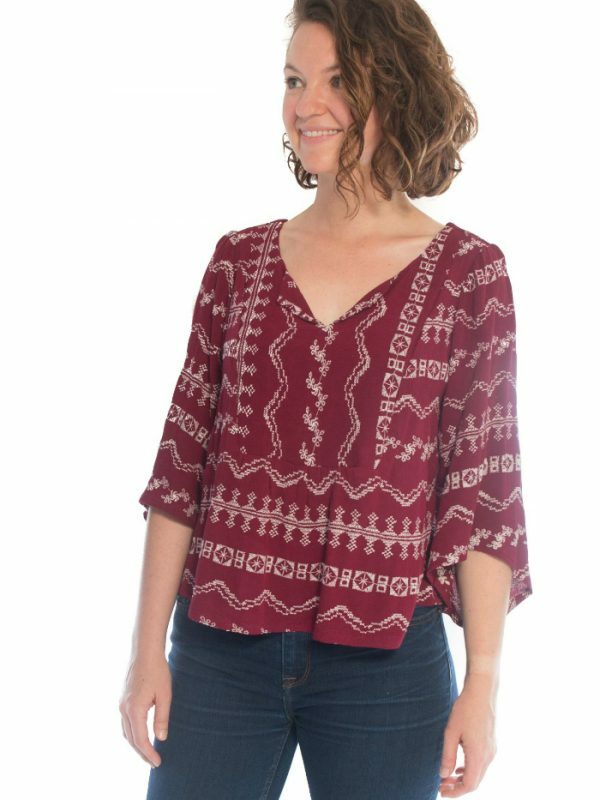 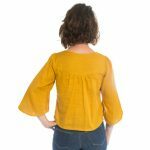 The Phoenix Blouse is a cute and casual boho style top in two views. 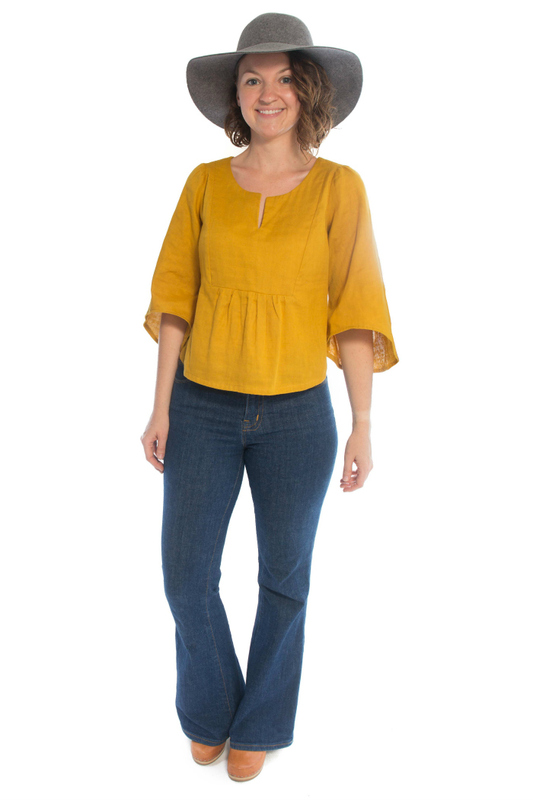 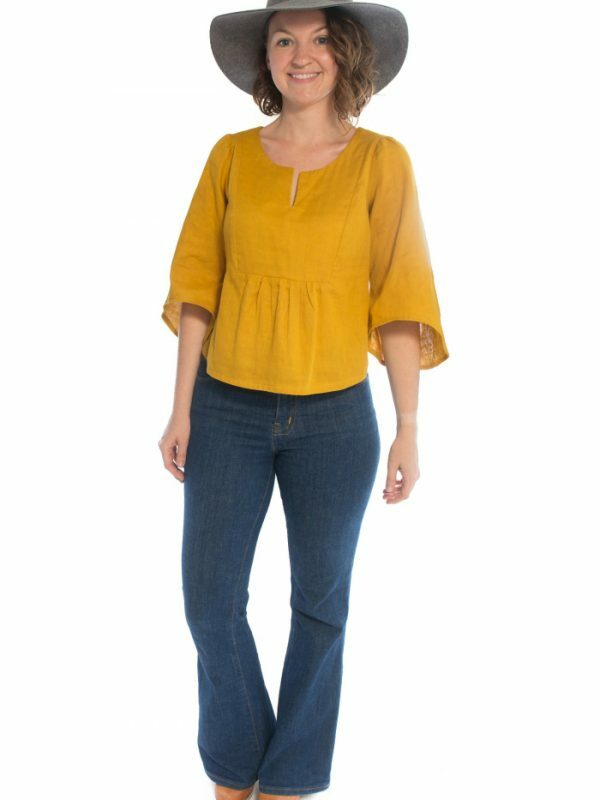 View A features 3/4 length bell sleeves while View B is a flattering sleeveless style. 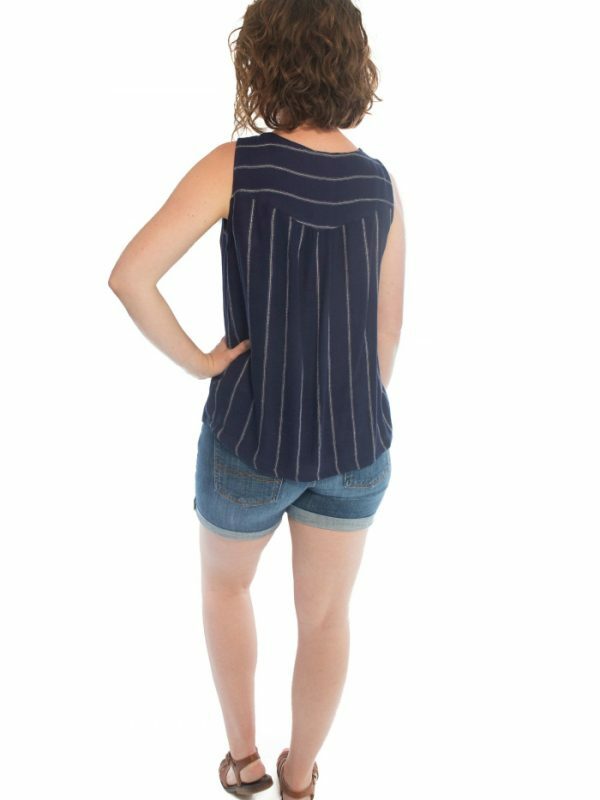 Both views have a yoke with slit opening, front and back gathers, and a shaped back yoke. 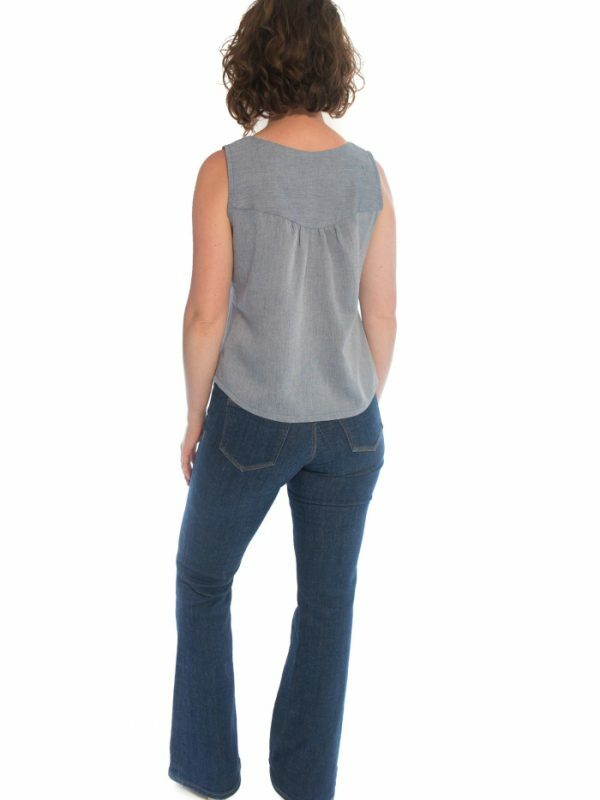 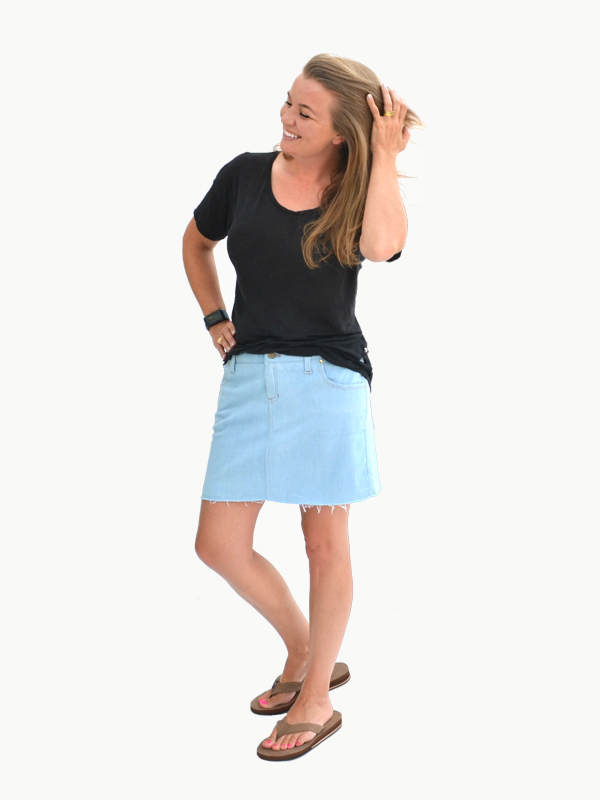 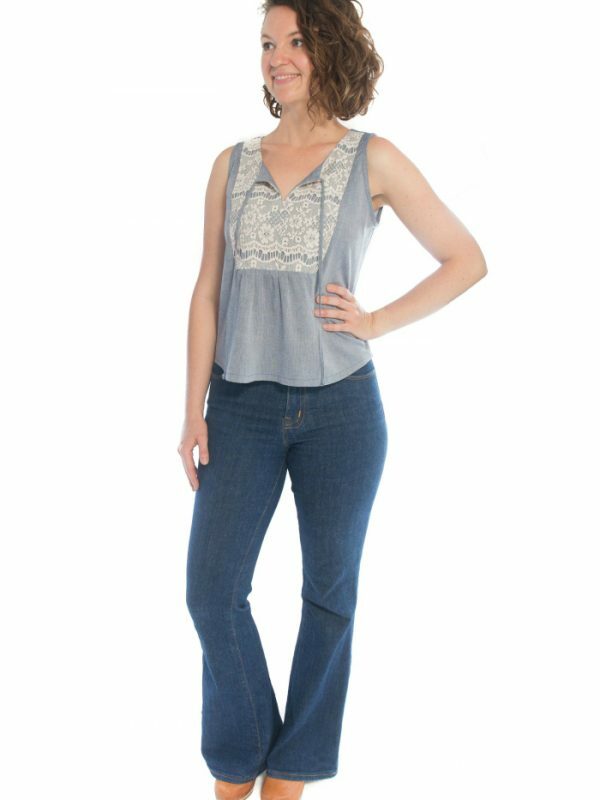 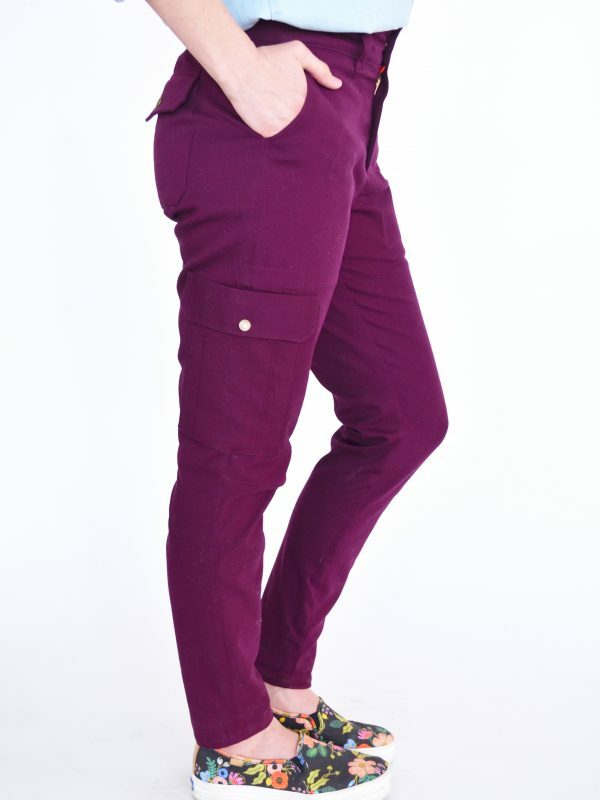 Length options include a cropped waist length, perfect for pairing with high waisted jeans, and a standard shirt length. 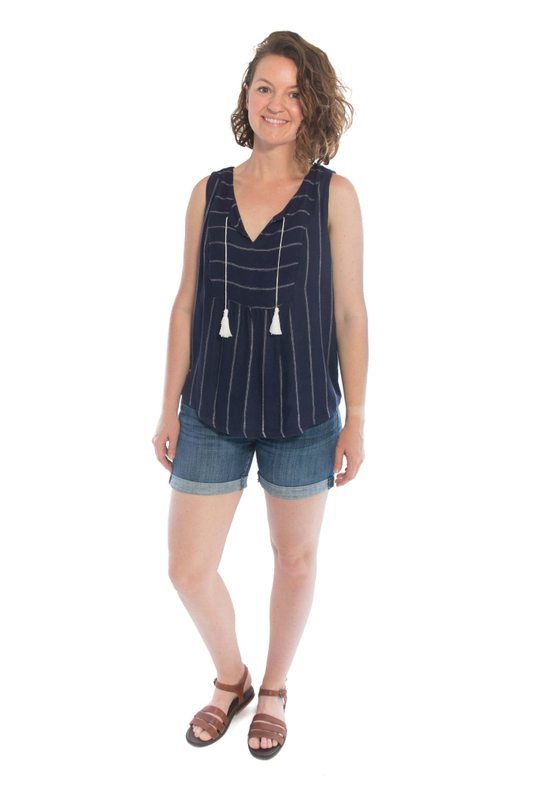 Optional tassels or ties add a cute finishing detail! 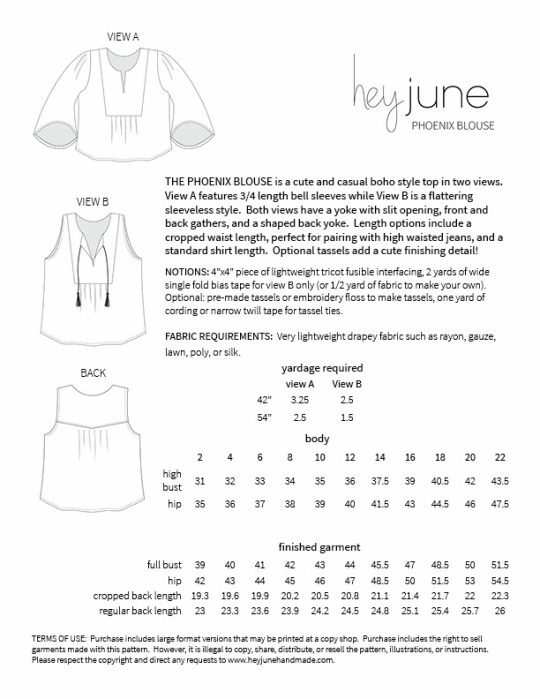 Read all about the Phoenix Blouse and see more pictures here. 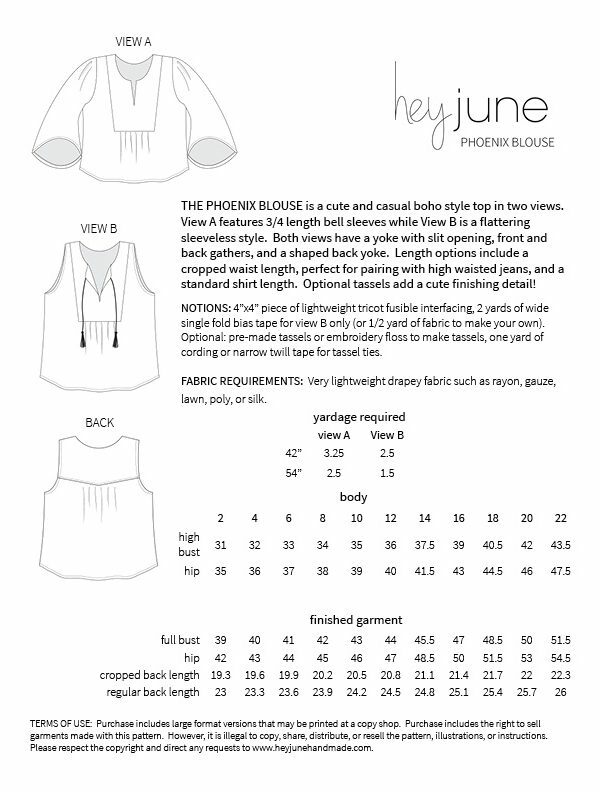 For best drape and fit, a lightweight woven such as rayon, poly, silk, lawn, voile, gauze, or linen blend fabric is recommended. 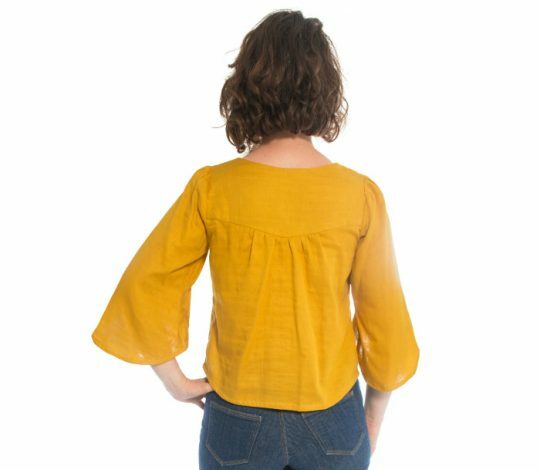 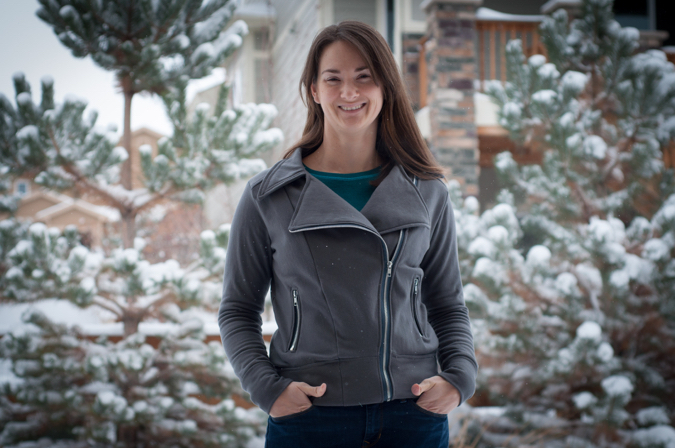 A tutorial for a full bust adjustment can be found on the blog. 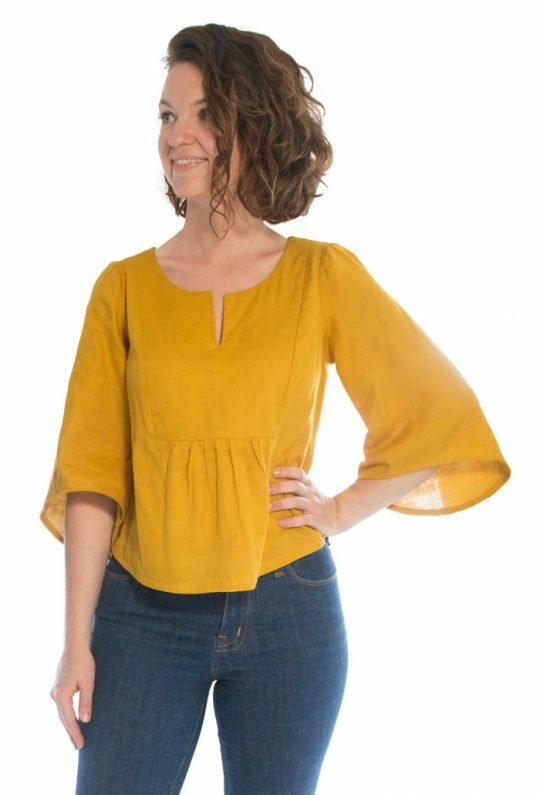 The Phoenix Blouse and Amalfi Dress have interchangeable sleeves! 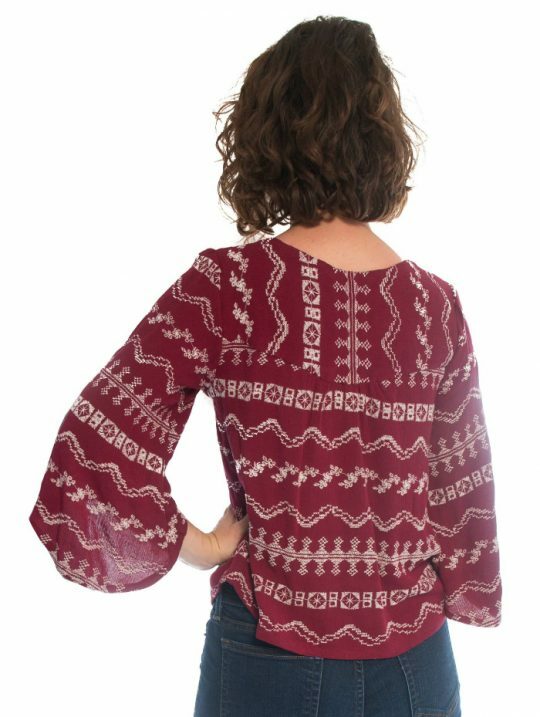 With both patterns you’ll have the option for 3 different sleeve styles on each pattern, plus the sleeveless view on the Phoenix. 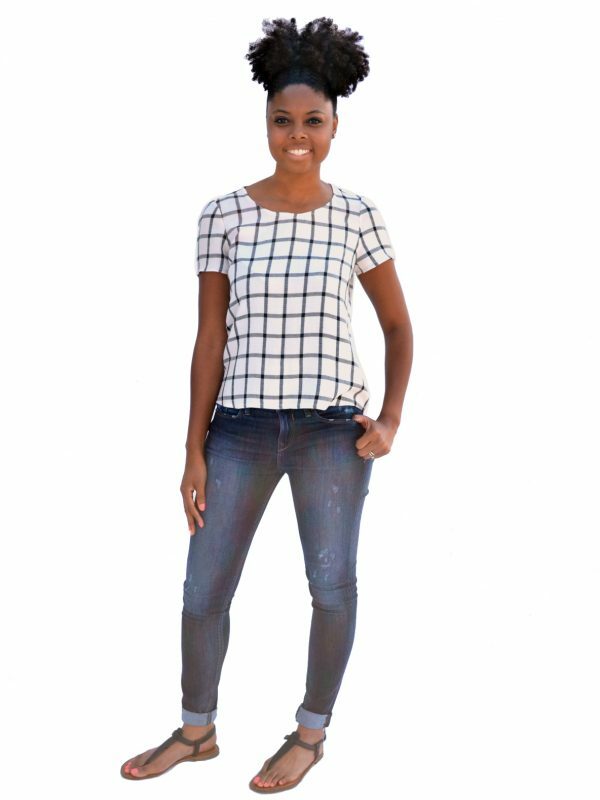 – Separate print shop copies so you can print the entire pattern on one continuous sheet of 36″ wide paper or two sheets of A0 sized paper.